Grab a beach chair and a margarita, and get ready to sip and slide into a tranquil day at the beach. 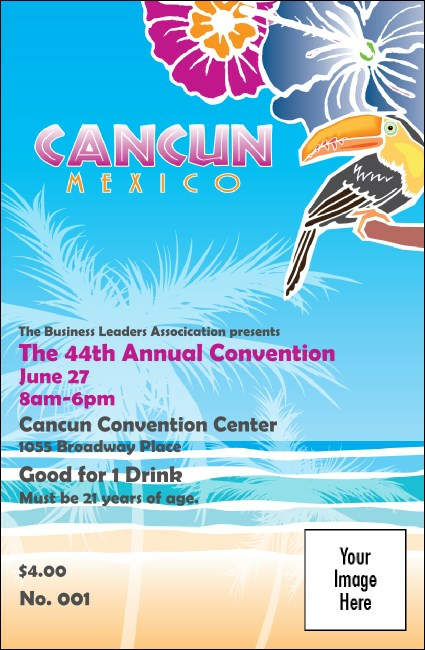 Make life easy on everyone with our Cancun themed drink tickets. With so many drinks served at Cancun, drink tickets only make sense. Save bartenders and event goers time and money. Complete the look of your event! This drink ticket design is also available in matching promotional materials.